Tomorrow afternoon we will be having a “send-off” and fundraiser at the Skinny Pantry in Fort Myers. 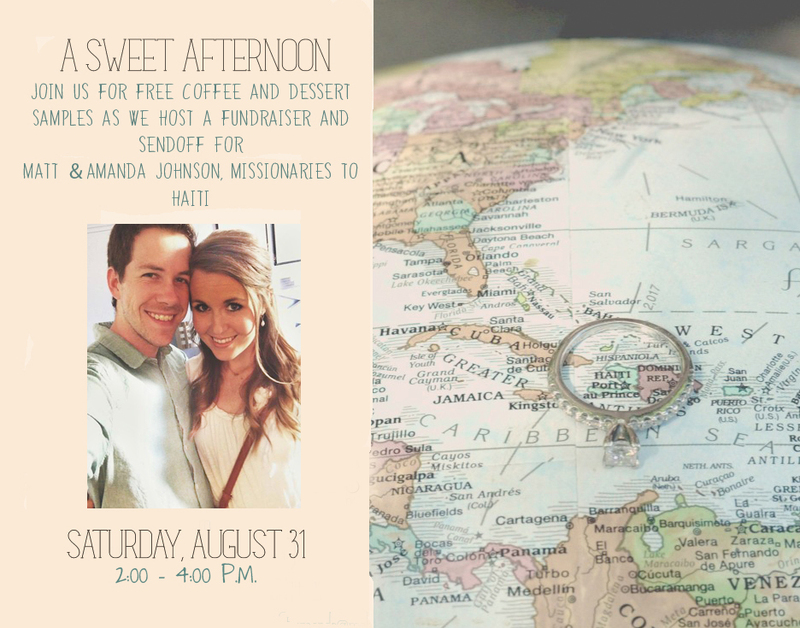 We would love to see all our sweet friends there! It’s an open house so even if you can only stop by for 10 minutes to say goodbye we would love to see you!! It’s at The Skinny Pantry in the Bonefish Grill plaza at US 41 and Andrea Lane. We’ll have desserts (including gluten-free) and a small silent auction to help us reach our fundraising goal! Please come say hi to us tomorrow between 2 and 4!